So, life is good and the mobile is sort of happening…. I was gone for 3 days last week so I didn’t get much work done. 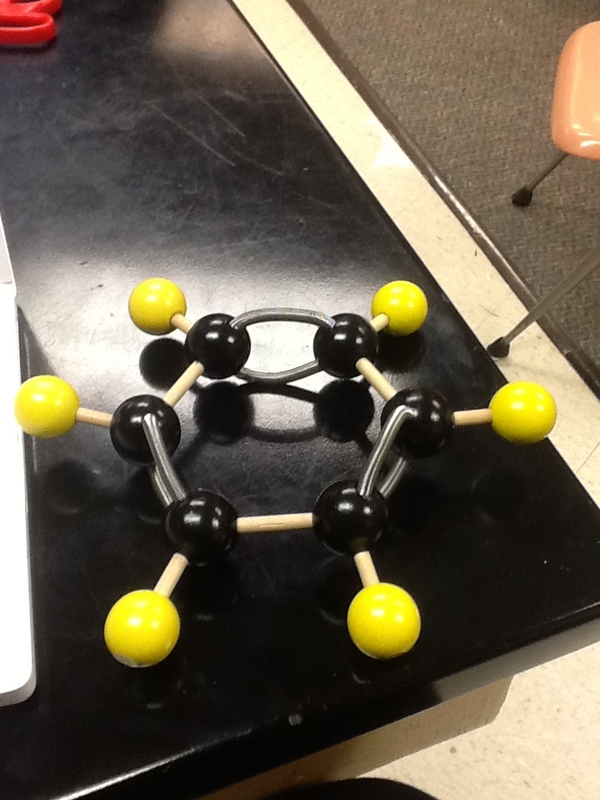 But, I do know what I am going to hang off of my mobile…molecules! I know, it is totally awesome! This is a picture of the one I have made so far, so you can get the idea of what will be hanging off the mobile. I still can’t decide if I am going to have the mobile off set or equal. Making it off set will be a little tricker, but it may be worth it… I’m just not sure! Oh, and I also decided that I would end up building it from the bottom up, considering that would be a little easier than going from top to bottom. But, anyway that is how life is with the mobile.